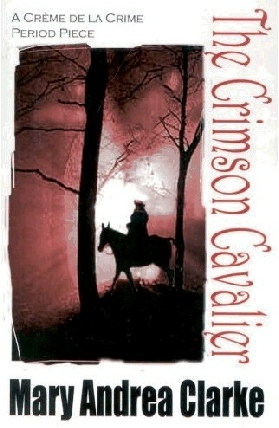 In late 18th century England, a prominent but unpopular man is murdered, apparently by the Crimson Cavalier, a colorful and infamous highwayman. Georgiana Grey is certain the Cavalier is not to blame, and to her brother Edward's chagrin, sets out to track down the real culprit. Regency London is a dangerous place, especially for an independent, outspoken young woman. to track down the real culprit. But her quest for the truth is obstructed on all sides and soon her own life is at stake.